Itt kaphat információt a SUPERFIGHTER weboldal frissítéseiről, hogy mely menüpontok lettek aktivizálva, illetve bővítve, dátum szerint. Here you can find information about the upgrading of SUPERFIGHTER homesite, which menu was activated or added, by date. 20.02.2011. ROYAL THAI AIR FORCE in KECSKEMÉT (190 pictures). 13.02.2011 BELGRAD Muzej vozduhoplovstva-Beograd (1636 pictures). 26.12.2010 TECHNICHKE MUZEUM V BRNE (574 pictures). 08.09.2010.GATOW LUFTWAFFE MUSEUM (5450 pictures)!!! 28.07.2010. ILA 2010 BERLIN (2695 pictures)!!! 18.07.2010. POLISH AVIATION MUSEUM CRACOW 2010 NATO PART (38), ENGIN (69), OLD PARTS (67). OH-58 Kiowa (120), F-5 (59), S-70 (160), P-38L Lightning (70), B-25, and...(60), DC-6B (39), Blanik (25), C 27 (29), ZLIN-50, L-39 (130). BLERIOT XI, Fokker DR I, (40), F4U-4 (55), Stearman (11), Texan (79), AH-1 COBRA (35). 11.08.2009. PARIS 2009 / A30, A380, (40), SUKHOI S10, AN-148 (50), C-17 (49), ATR500, ATR72...(40), F/A-18 (300), HH-60G (178). 10.08.2009. PARIS 2009 / E-2 (50), C-2 (50), IAI G550 CAEW (60), Mirage III (80), Mirage-2000, EFA, Mirage F-1, F-35. (37). 02.12.2008. BRNO 2008/ Mi-24 (80), SEAKING, Mi-17 (54), Pilatus PC-6, PC-9, L-200 (74). 01.12.2008. BRNO 2008/ F-15C (170), F-4 (175), Agusta A109B, Galeb (80), L-39 (80). 26.11.2008. BRNO 2008/ ALCA (185), L-39 HUNAF CÁPETI II (120), E-3A AWACS (100). CASA 295, C-130 (85), YAK-50, Z-142 (90). 25.11.2008. BRNO 2008/ An-2 (120), Mi-24 HUNAF (120), An-26 (50), KC-135 (120), Mi-171Sh (120), Sokol, Mi-2 (43), Flying cirk (50), Gripen D, C (110). 28.03.2008. BRNO 2007/ F-15E (260), F-16 (180), GRIPEN (60), Mi-24 (60), MiG-29 (142), Mirage F1 (255). 28.03.2008. BRNO 2007/ ALCA, L-159 (105), An-26 (30), B-1 (260), C-17(100), F-4 (60), L-39ZA (50), Mi-171S, Mi-8 (60), T-6A Texan II (60), C-27J, L-410UG (30), Jak-11, SM-92T (30). L-39, A300, (80), SPERWER, A330, AS-355 (35), F-35, B-777, TBM 850,700 (50). Pilatus_6_21_12 (42), ATR-72_C-295M (35), AS-555_DA-42 (50). 25.01.2008. PARIS-2007/ Rafale (180), Mirage 2000 (180). 24.01.2008. PARIS-2007/ EC-225 (29), EC-725 (140), Mi-8 (45), EC-725_2 (110), Mirage F-1c ( 160), MiG-29 OVT (40). 21.01.2008. PARIS-2007/ F-15 (160), AMX (15), BA-609 (45), F-16 (65), F-18 (220), Constellation (40), HH-60 (180). 13.03.2007. Fairford-2004/ B-1, B-52, (40), AMX, MB-339 (15), Tornado (60), C-130 (60), Harrier (30). Pilatus (10), C-27 (15), CN.235 (30), Frecce (30), F-18 (30). (800+ pictures)!!! 25.01.2007. CIAF 2006 BRNO / F-16 (150), F-15 (140), Gripen C (120), E-3A AWACS (105), An-26 (60). 575 pictures!!! 11.10.2006. LONG STEP 2006 CERVIA (420 pictures) MiG-29 HUAF, EFA, AMX, F-16, F-104. 19.04.2005. Hungarian tecnician training starts in Sweden. 23.03.2005. 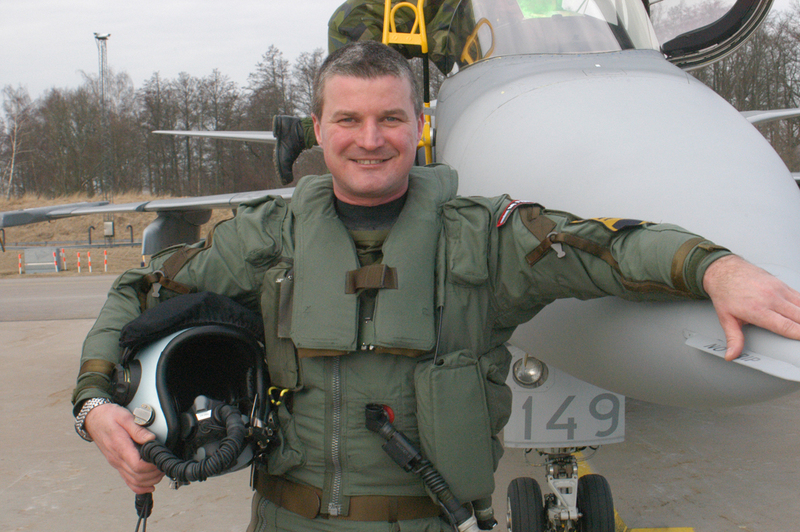 First solo flight done by each 5 Hungarian pilot on Gripen in Sweden. 06.02.2005. "NEAT" VIDSEL TESTCENTER 2003.06.13., (90 pictures) ARTICLE MENU activated, upgraded.